Get The Perfect Cut, At The Perfect Thickness, Every Single Time! 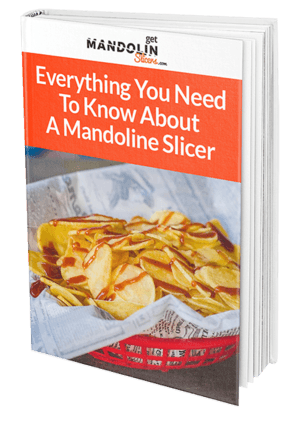 Download our FREE eBook guide and learn why a mandoline slicer is exactly what you need if you love to cook for large groups, have a large household, or just can’t be bothered spending hours preparing your ingredients before cooking them up. Having a mandoline slicer in your kitchen can help reduce prep time while allowing you to cook more delicious, consistent meals. Not only this, but they also help you add a touch of class and make your meals visually appealing for your friends and family. 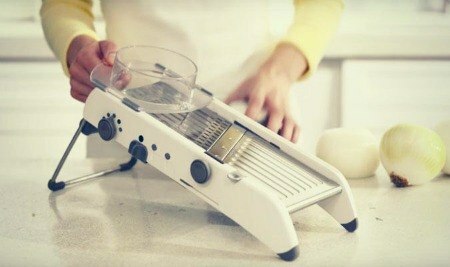 But, these kitchen appliances are equipped with a sharp blade and other important components. Not using a mandoline properly can result in severe injuries, so you have to be extremely careful when operating one. 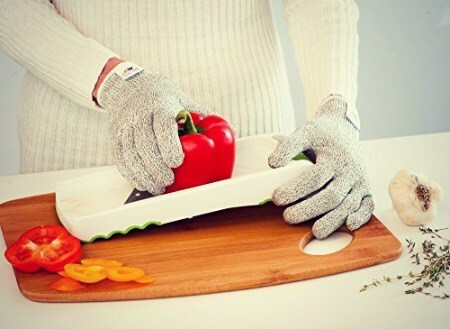 To help you avoid any unfortunate accidents, we will go over the components of a mandoline slicer, give you tips on how to prevent any problems, and showcase the most common injuries suffered while using a mandoline. These slicers can come in a variety of sizes and shapes, but they all have the same general shape and elements. The most important part of the functionality of the mandoline is the blade, which is usually sharpened and often made of stainless metal. Although the blade is where injuries occur, you have to look at other elements such as foldable legs and additional safety locks that may malfunction and result in cuts. Like all other appliances, these slicers come with an instruction manual so make sure you read it thoroughly and get familiarized with it before using it. You should also look at all the security features and learn how to operate and toggle them before using your mandoline. Mandolines come equipped with a hand guard that is designed to prevent accidents from happening. Given the fact that you use your hand to slide the ingredients towards the blade, the hand guard is a pivotal security feature that you always need to take into consideration. Handguards are designed to fit on the slicer, so always cut your vegetables to their size in order to achieve the best results. Using bigger ingredients can damage your slicer and result in severe injuries, so avoid using them at all costs. Besides handguards, mandolines don’t have any security features that prevent you from injuring your hand against the blade. However, you can always purchase cut-resistant gloves and other security accessories that help you maintain high safety levels. The most common injuries sustained while operating a mandoline come in the form of cuts, which can range from light to hospital-worthy. 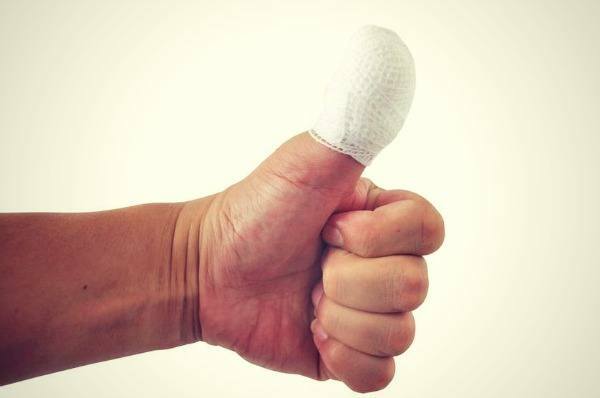 In the most extreme cases, people have been known to slice entire chunks of their fingers off! Don’t let these horror stories put you off though, mandoline slicers are incredible appliances that can help you cut your cooking time and increase energy efficiency at the same time. Simply follow the tips outlined above to guarantee a safe and accident-free cooking environment at home or at work.